Last week I gave you 5 tips on how to write your LinkedIn profile summary. Readers seemed to enjoy having those starting points to work with. Starting points are great…but then what? If you don’t know how to get from the starting line to the finish line, you’re not going to get very far. So this week, I’d like to share some sample LinkedIn templates. 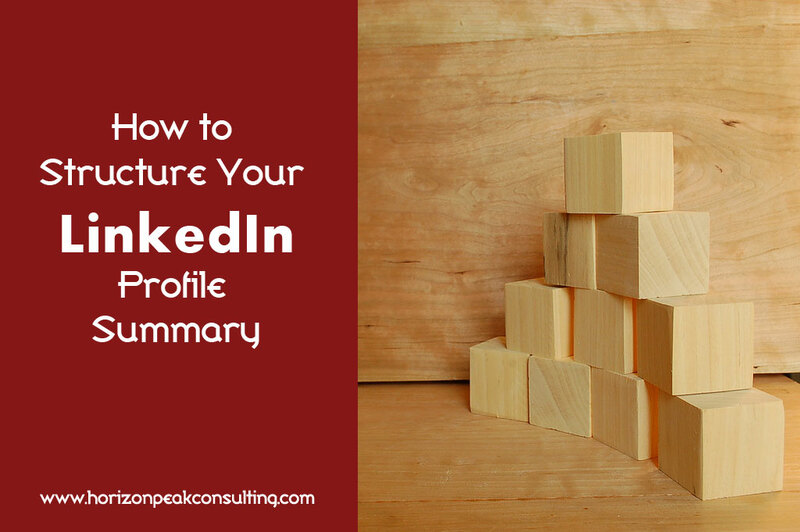 Essentially these are examples of how best to structure your LinkedIn profile summary. They’re not set in stone – they’re flexible to work with whatever type of LinkedIn summary you decide you want to write. But they’ll take you from the starting point you got last week onto the path toward the finish line. I have two last pieces of advice for you while you’re writing your killer LinkedIn profile. Do not copy and paste your resume! Your resume is a tool for applying for jobs. LinkedIn is a tool for making connections. Write your LinkedIn profile with connecting in mind. Use keywords! No, this is not a lesson in SEO. This is a lesson in common sense. Think of your ideal audience – who you are trying to connect with – and consider what keywords they might be searching on. Now include those keywords in your summary. Have you had success connecting with your target audience on LinkedIn? I’d love to hear about it! Comment below!